As an adventure traveler, I have found myself in some pretty radical places: on top of Kilimanjaro, in a blizzard en route to Everest Base Camp, riding horses over high remote mountain passes in the Altai Mountains in Kazakhstan. As someone who suffers from a circulatory disorder, it’s in my best interest to find gear that keeps my hands, toes and head warm. I’m reviewing a range of products that I have tried out and am going to share the results here so that the rest of us who worry about our digits might have some good ideas where to shop. If you are headed south of the equator this summer where there is plenty of skiing, stay tuned. Ask anyone who suffers from cold hands what it’s like to head into a Colorado winter- or winter in any cold country- without adequate hand gear. We have a lot to say. Those of us with Reynaud’s, which is a circulatory disorder affecting our extremities, and we’ll have a lot more to stay, and complain about. Reynaud’s attacks the fingers and toes, causing blood to rush to the body’s core often leaving hands and feet vulnerable to frostbite or gangrene. While each case is different, in very serious cases people can lose limbs. Those of us who aren’t so badly off still suffer in cold temps, especially if we’re serious outdoor enthusiasts. I’ve been on a quest to find a glove- not a mitten- which can protect my icy hands from freezing. I need a glove because I’m a horseback rider, and mittens won’t allow the necessary dexterity for holding reins and managing a horse with a delicate touch. So I attended the Denver Based Outdoor Retailer show in January ’18 with an eye towards field testing a number of gloves which might fit the bill. There are lots of us out here eager to find an answer to loss of feeling and the very real dangers of exposure. One company kind enough to allow me to test a pair of gloves was Serius. They have a rep for good gear, and I was sent a pair of Heat Waves to give them a go. When I tore my rotator cuff, I had to back off any mountain excursions, but I was able to use these gloves on icy cold mornings when I either ran or hiked my foothills neighborhood with a weight vest on. This is what I found after eight test runs, in temps ranging from the low twenties to the high forties, and some days with significant winds. Five of Five Stars. 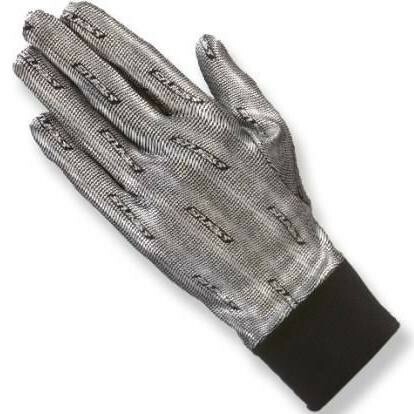 The gloves are very well made, with buttery leather, which leads to pretty good dexterity. I say pretty good because the pair I got was a Medium. My fingers are a bit long so that the glove didn’t quite fit as snugly as I might have liked. However it is a beautiful glove, and I loved how they both looked and felt. Two and a Half of Five Stars. As long as I didn’t take the gloves off, I was fine. However, if I needed to use my bare hand to adjust my iPod or pet a local dog, I found it very challenging to get the glove back on. This may well have been a function of the size. However I tested this a number of times. What happens is that if my hand gets damp from exertion, that catches on the inner lining of the glove and I found it impossible to get my fingers back in place. Serius sent me a pair of Heatwave liners but the glove was too tight to add a liner either for additional heat or for slipping the glove back on without a struggle. From a practical standpoint, this would make it extremely difficult to use as a riding glove because you can’t spend precious minutes struggling to pull a glove back on while riding a 1500-lb horse, especially if he’s moving or scared. Dampness got in the way each time it happened, and on more than one occasion I had to leave the glove hanging off my hand with my fingers curled in a fist stuffed into the palm. The longer you struggle trying to put a glove on the colder your hands get. The gauntlet on this glove is very short. This means that if you’re in rain or snow, there is a chance that your wrist will get wet, or worse, the elements will make their way into the inside of the glove. This is a Reynaud sufferer’s worst nightmare. Our hands are already cold, and the glove has to insulate based on the heat that hands are producing. We’re already at a deficit. If snow or cold rain seeps in, not only could I not get the glove back on, but if I did, the glove would be compromised because my hands are too cold already to make up the difference. As long as all I did was run or walk, I was fine, but the inability to get my gloves back on gave me concern. Two Stars. This is Holy Grail. My hands stayed warm for the first five or six minutes after I left the house and began my hike or run. That was from the heat that I already had in my fingers. Shortly thereafter, that heat leached away, and by the time I hit the mile mark my fingers were white icicles. This was the case no matter whether I ran or hiked with my heavy vest. It wasn’t until I hit the two-plus mile mark that any heat from my body began to radiate back into my hands. Here’s the challenge with that: when you’re on a horse, or standing still, your body isn’t producing energy, and as a result, hands, feet and head can lose heat. If you wear good headgear, that stops one problem. But hands are a wholly different matter. Most of the time when you ride, you’re not putting out the kind of exercise that I found necessary to keep my hands warm in these gloves. If I stopped to pet a dog or talk to a neighbor, my hands cooled almost immediately. The system works only if your hands can generate heat. For those of us with Reynaud’s, that’s the problem. We don’t. If the temps stayed close to the mid-forties, I was fine. But some of the places I ride are over high passes with sleet, snow and wind. Temps dip way below this, and I’m dealing with lots of moisture. Given the problem I already had with removing the glove and getting it back on, this made the Heat Wave not the right choice for what I was needing. Three of Five Stars. These liners, which have a wonderfully slick texture which makes them slide inside your gloves effortlessly, also work based on the assumption that your hands are already warm. They add an additional layer, which I found useful in my other, larger gloves- up to a point. That point ended as soon as I had lost the circulation in my hands. The kinetic heat return system only works if heat already exists. For people who do not have Reynaud’s this would be a terrific liner to add some 20% to the existing gloves’ properties. As long as I am exercising vigorously in the cold, they work beautifully. However, not long after I stop, my hands are cold again. This is the case even when I am wearing a heavily weighted vest. My body core is sweating, but hands are still cold. I like these liners a lot and recommend them because they are the best of all the liners I’ve ever used. However they can’t solve the problem of cold hands, especially if you are on a chair lift, waiting for some reason in the cold, or just sitting around. You still have to generate heat. Four of Five Stars. I loved a lot of things about this headliner. 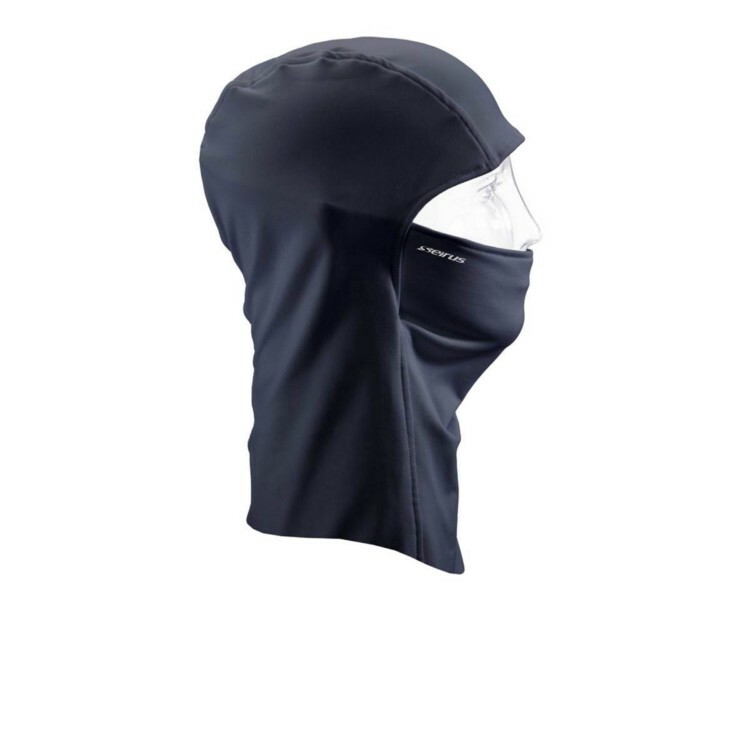 First, it really is warm, close to the head and perfect for fitting under any kind of headgear. I loved the versatility of being able to pull up or push down the masque portion. The only problem I encountered was trying to do this with gloves on. I couldn’t get the hinged portion to work with gloved hands, and that meant I had to take them off, and that froze my hands. However, if you possess greater dexterity than I do then this is a minor issue. Unfortunately having to remove my gloves to move the masque around causes the much larger issue of cold hands, which is my biggest problem. Still, the level of warmth was terrific. The reason I didn’t give it five stars was because of the problem already mentioned, and the fact that when I donned my sunglasses to deal with the glare of the rising sun, I got instant and impenetrable fog. Goggles won’t have that problem but everyday shades- and that includes my glacier glasses, fogged so badly I had to take them off repeatedly and wipe them, or else stumble head first over the curb. If I didn’t want to fog my glasses, I had to push the masque off my nose and mouth where it was doing such a great job of protecting me from wind and frost. I don’t have an answer for this, but there are glasses that seal around the eyes. I’d rather not have to purchase special glasses just to wear this head gear. However, that was my experience, and it may not be others’ when they try it out. What it does do exceptionally well is warm and protect. I couldn’t find a pair of glasses that didn’t fog. In sum, Serius is serious about warmth. They have a battery-operated glove I hope to try out, but that won’t work for the three-week excursions I am typically on in the wild. The best short-term, close to home, one-day option is battery powered, as long as you can recharge. However if you’re stuck where you can, those gloves are often no better than driving gloves at protecting the hands of those of us with Reynaud’s. Layering systems work better than a single glove. 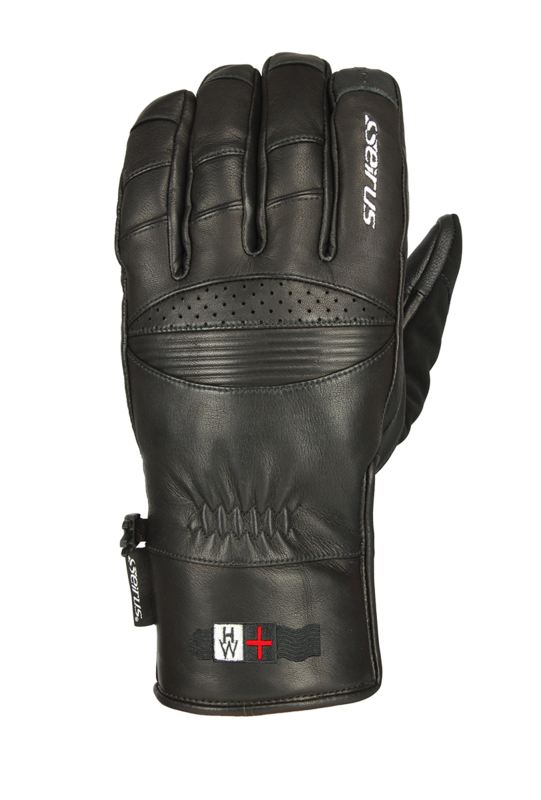 If you don’t have Reynaud’s, chances are these superbly made gloves will be perfect. For those of us who do, the search is still on.